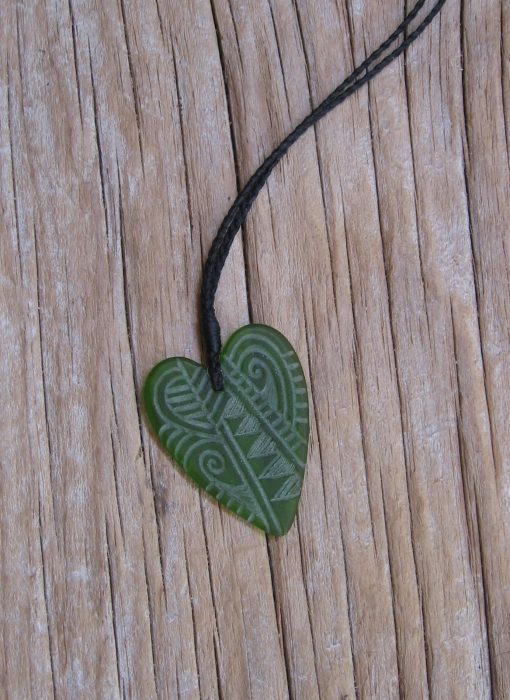 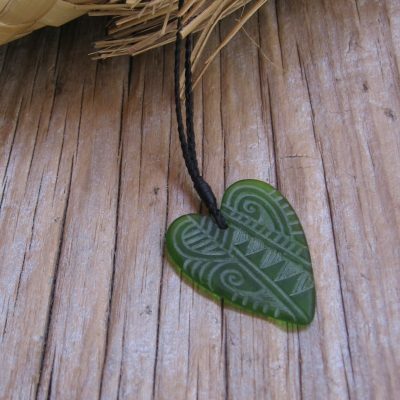 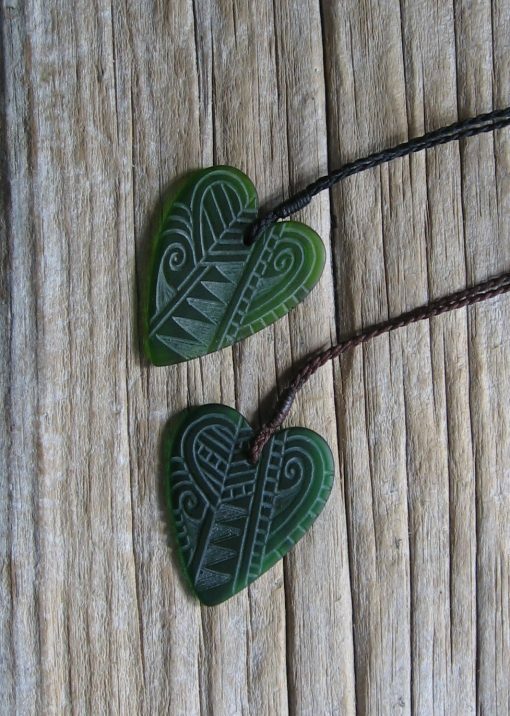 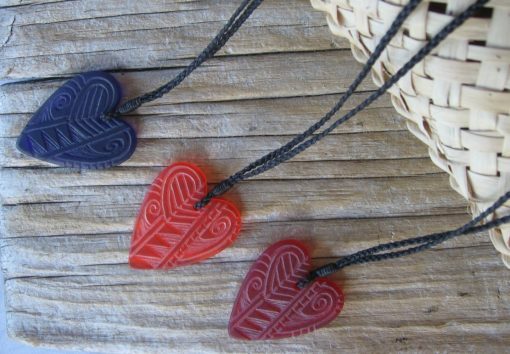 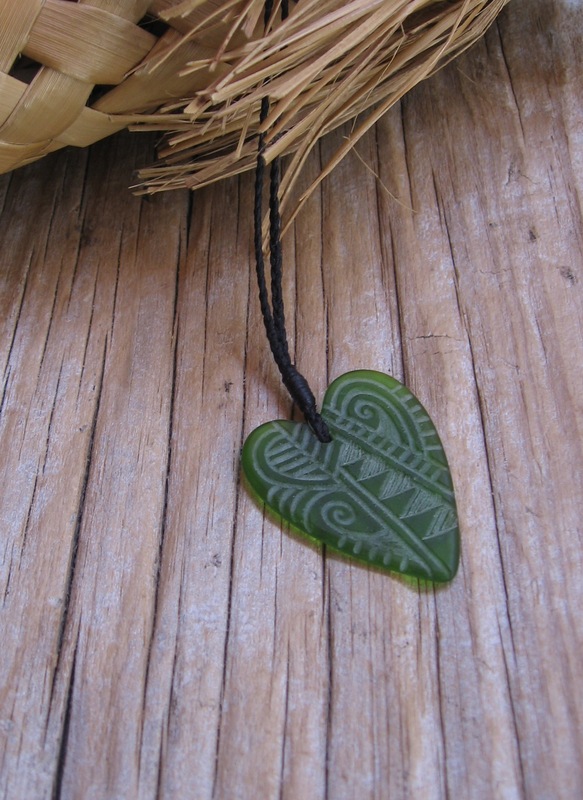 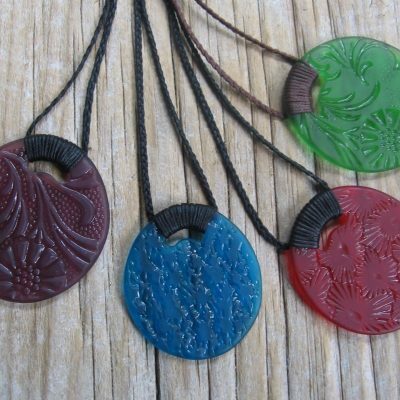 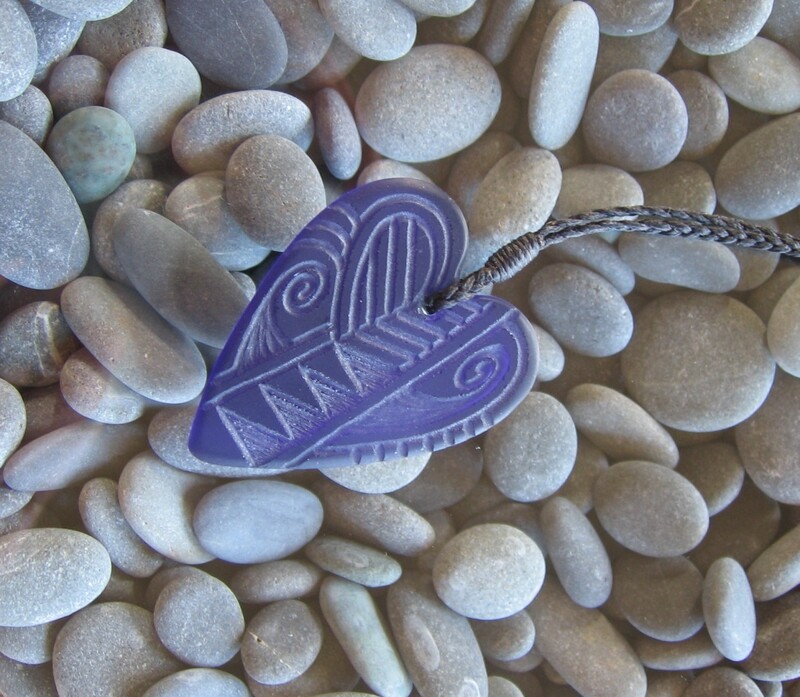 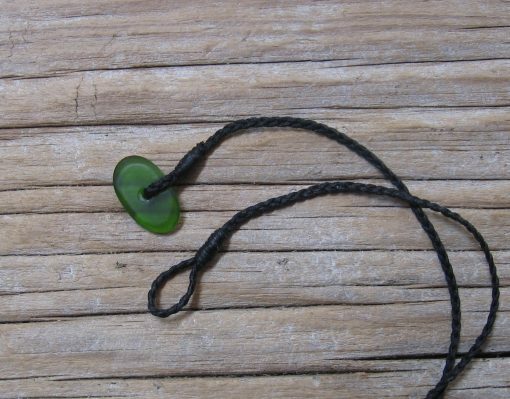 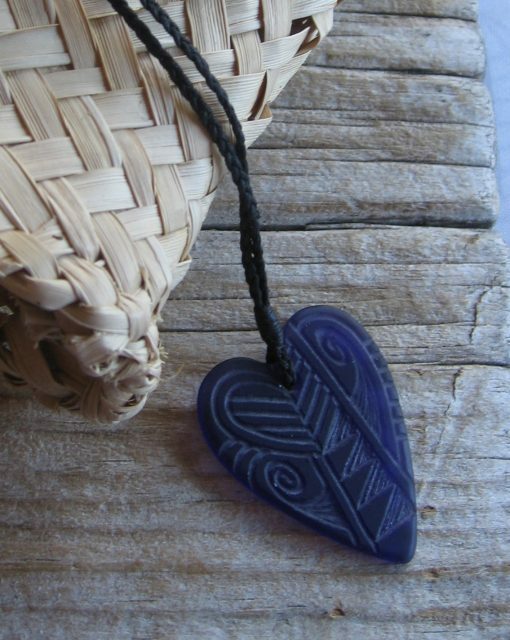 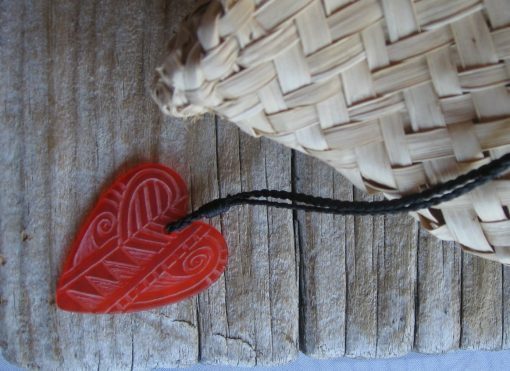 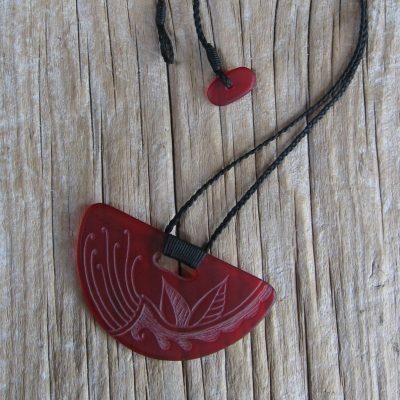 This glass pendant has been shaped to form a heart, and hand-engraved with a New Zealand/Aotearoa bush (especially the fern koru and the lancewood tree) and Maori design inspired motif. 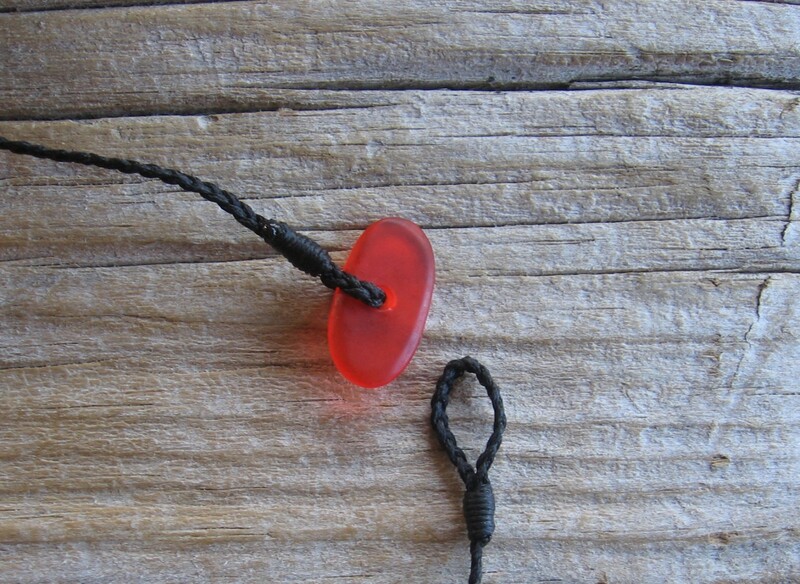 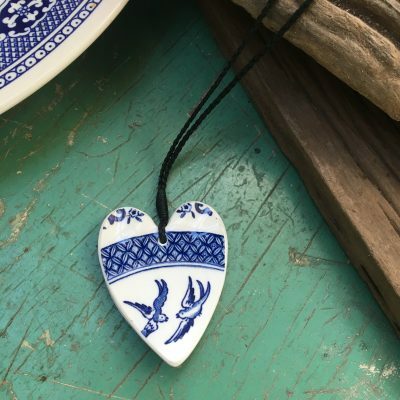 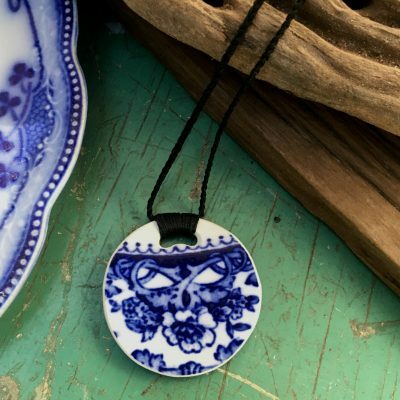 The pendant measures approximately 4 cm in length and 3.5 cm at the widest point, and is hung on hand-plaited cord. 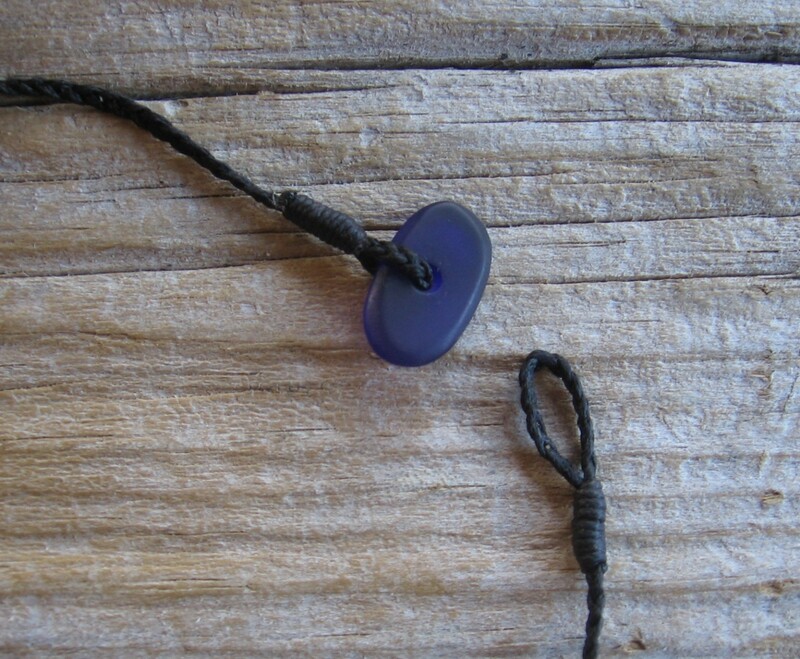 The length of the cord is approximately 50 cm; it is designed to sit just below the collar bone. 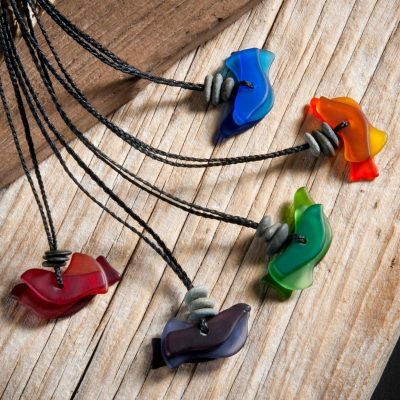 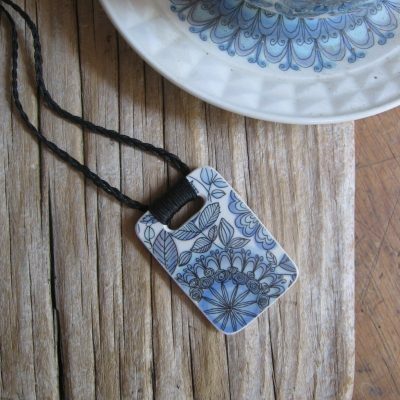 It fastens with a simple loop and toggle system; the toggle matching the colour of the pendant.